I have recently been made aware of a lovely website Angelic Hen that was unknown to me prior to being sent some lovely novelty items to review. Artist Mari Hutchings started it all off over 10 years ago back at her home, designing and painting peg boards and hangers on a small scale. As time went on her work became very popular and she took on the help of some friends to keep up with the orders. Eventually it grew to levels where a team of professional artists were employed and Angelic Hen was born in a larger Premises now at Wyastone Leys. 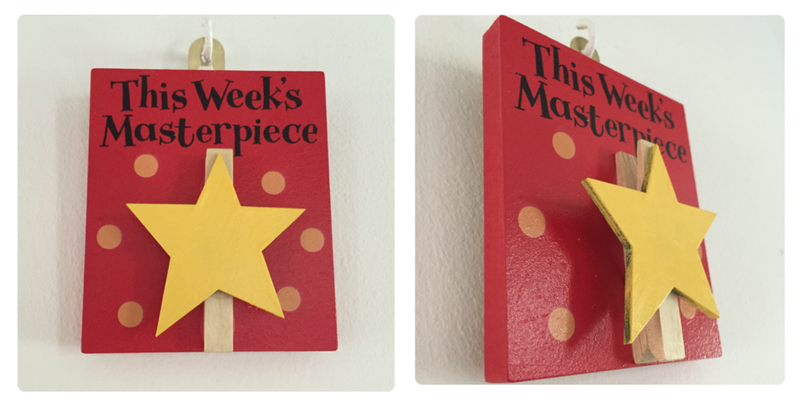 These little wall mounted peg boards are great to put your little ones artwork on display. They measure 9.5 cm wide x 11cm high and can also be personalised. As you can see ours is modelling off Monkeys awesome spaceman which he made. I love these little peg boards, they are so novelty and come in lots of other designs too. Yes you read right, a wooden postcard that you can post. It has pre drilled holes so the recipient can hang it up as a keepsake afterwards. I’ve not seen these before, and again they have other designs, such as Happy Birthday, Weddings, Seasonal etc. I suppose it cuts out the gift wrap! just send as standard rate in the post. 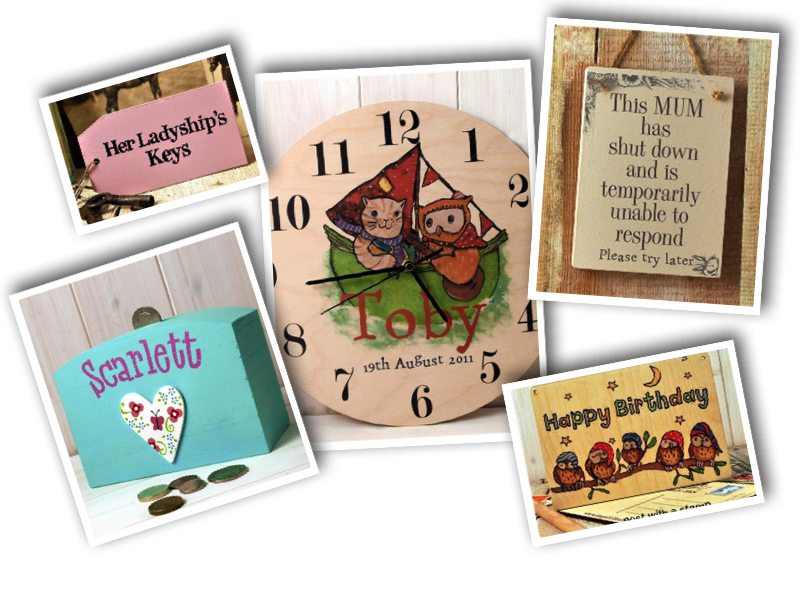 The website has lots of little gift ideas and all at reasonable prices too, I personally like the MUM sign below. Definitely worth visiting Angelic Hen to have a nosy.